Humidors come in all shapes and sizes and are made from all manner of things. You can make a humidor out of a plastic storage container, a cooler, an antique cabinet, or any other form of container that you can get to seal fairly tightly. Or you can just buy a humidor. 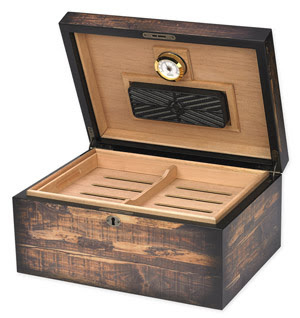 While humidors come in all sizes, they are easier to manage when they are of a minimum size of say 100 cigars. You can get by with a 50 cigar humidor, but you’ll soon find yourself running out of space and wishing you could build out an addition. By having a more substantial storage volume, which should always be filled with an appropriate amount of cigars as nearly empty humidors are nightmares to maintain humidity in, you will get more enjoyment out of your passion of smoking cigars and spend less time on your involuntary hobby of managing your humidor. The very best thing about having a larger humidor is that you can STORE MORE CIGARS! And how can you beat that. On a serious note, by having a humidor more substantial than a mere 20 stick small desktop model you also afford yourself the opportunity to diversify your collection. A great perk of this is that you can actually forget what you’ve got. 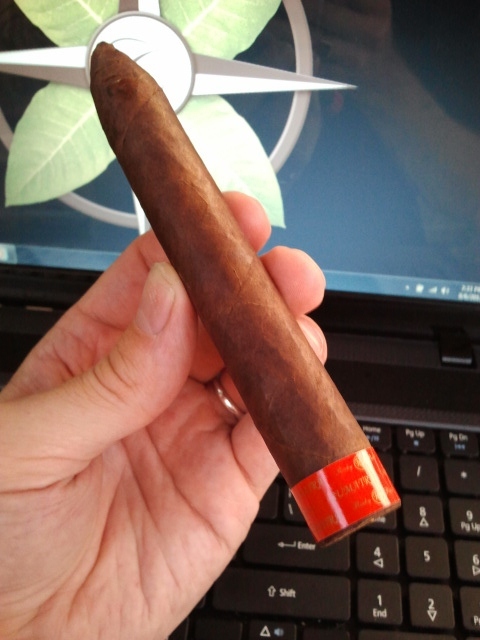 As I write this I am enjoying a Rocky Patel Edge Sumatra torpedo. I purchased these as a bundle at least 2.5 years ago. I knew I had them, as I instantly recognized them when I stumbled across them, and my palate couldn’t wait to see how the extra aging changed them. Half a dozen of these cigars managed to rest and age for a couple of years out of sight and out of mind. It’s critical to monitor the conditions of your humidor. Less important is monitoring what is actually inside. You can set yourself up for a great surprise further down the line. Think of it as paying it forward to yourself! So, next time you're humidor shopping, go big!